Welcome to the website for Cradley Play Nursery! Please have a look around our website to see what we do here. If you can’t find what you’re looking for then feel free to contact us via ourcontact page. Cradley play nursery was purpose built and established in 1972. Ann Richards took over the nursery in 1997 and has made significant improvements, striving to continually strengthen standards. At Cradley Play Nursery we provide the best environment in which to nurture and develop each child in our care. An awareness of culture and emotional understanding, intellect, physical and social skills are promoted using positive imagery and practices. Our opening hours are from 7:45 am – 6pm Monday – Friday. While you are here, why not take a moment to read our Nursery’s outstanding Ofstead reports? If you have any enquiries please don’t hesitate to contact us. Our friendly staff are always happy to help! Want to see what the children get up to here at Cradley Play? Come check out our gallery! Here at Cradley Play Nursery we are able to provide loving care for children aged 3 months to 4+ years. The happiness, well-being and education of each child is of utmost importance to us. As such our practices follow the governments initiative “Every Child Matters” and Early Years Foundation Stage Guidance. Each child within the nursery is encouraged to develop to their full academic and creative potential and are encouraged to question discuss and evaluate. 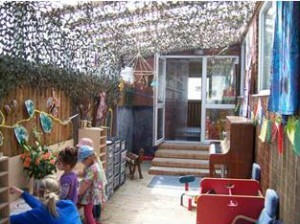 The nursery promotes personal and social development. Each child is encouraged to join in a wide variety of experiences. The pursuit of ideals and qualities such as enthusiasm and self-esteem are nurtured. We are staffed and resourced with this in mind, and the curriculum is planned to offer the widest possible range of opportunities even for our youngest babies. Constructive parental involvement in the life of the nursery is encouraged and all parents are welcome to contact and visit the nursery as they wish.